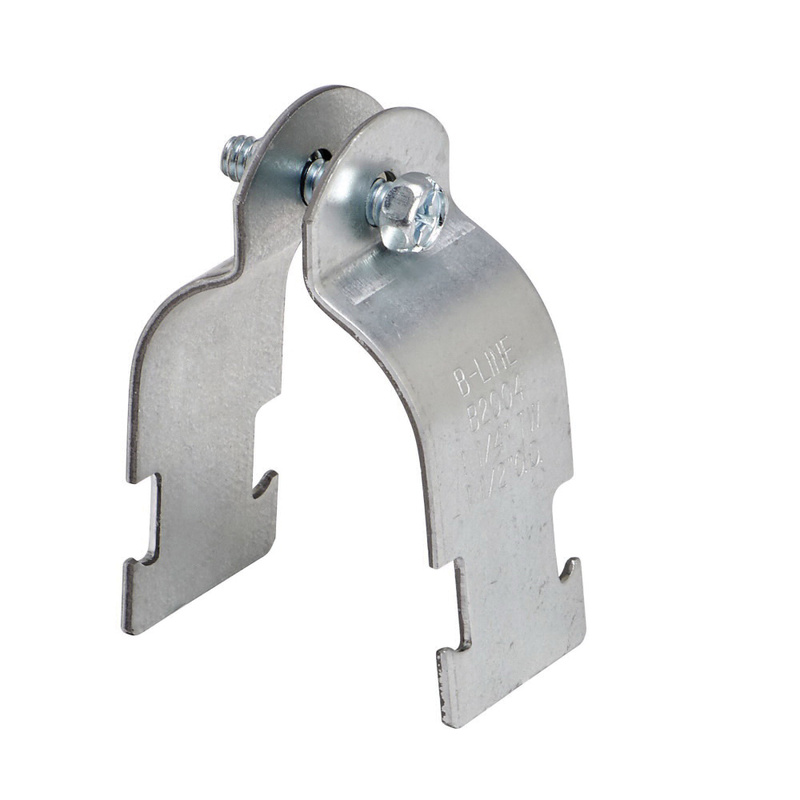 B-Line B2009 Series 2-Piece Rigid conduit clamp of trade size 3/4-Inch, is suitable for use with pipe/rigid conduit to strut system. The 1-Inch OD clamp features 14-gauge 304 stainless steel construction. It has working load limit of 600 lb. Clamp comes with combination recess hex head machine screw and square nut.